Born in Imo state in Nigeria, I schooled up to tertiary level in the state and graduated with a bachelor's degree in Industrial Physics. While growing up, I always had this desire to keep Igbo language alive. I was raised amidst very good Igbo language materials (books, movies, music, and even fluent and creative speakers) and have a formal education of the language. I have worked as a translator for the Nigeria Presidency on it's yearly report on fight against corruption. 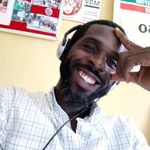 I will teach you in such a way that you understand very well how to use words, parts of speech, tones, figures of speech, and even slang to express yourself in Igbo language and be able to speak at any level. I will make you know, not just what to speak but, why you speak.